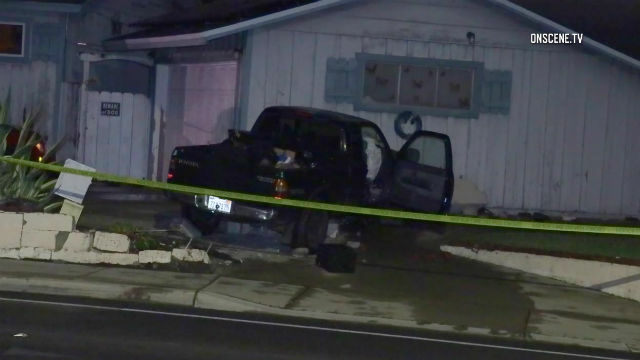 An El Cajon homeowner shot a burglary suspect, who then fled in his pickup and died crashing into the front yard of a nearby home early Sunday morning. El Cajon Police responded at 1:15 a.m. to a report of shots fired in the vicinity of Mona Place and West Chase Avenue. Investigating officers said the homeowner was awakened by the sound of his dogs barking, looked outside and saw a man breaking into his vehicle in the front yard. The homeowner took a handgun, confronted the burglar and fired multiple shots. The burglar then fled the scene and crashed into the front yard of a nearby house on West Chase Avenue. Arriving officers and paramedics pronounced the suspect dead at the scene. The 32-year-old man’s name was not released pending notification of next of kin. The incident remains under investigation by homicide detectives.